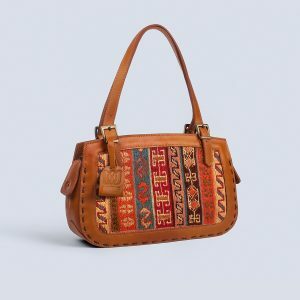 handcrafted kilim leather bags are clever choices; whether you are looking for a special gift or something unique to add to your wardrobe. 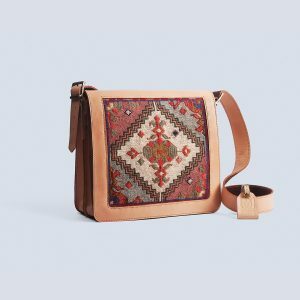 Handmade from durable materials that have been selected by masters in their field, our colorful kilim bags combine the look and quality of natural leather and the vintage beauty of authentic Persian and Turkish kilims. 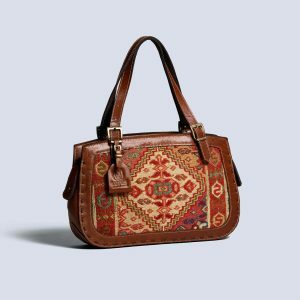 We have designed and produced a wide collection of all types of kilim bags. 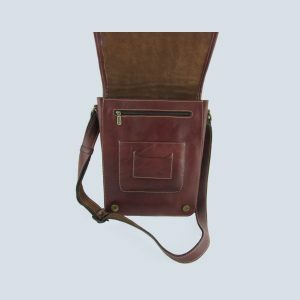 From handbags and backpacks to wallets and totes. 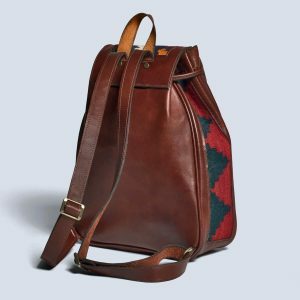 Handmade designs that are both stylish and made to last. 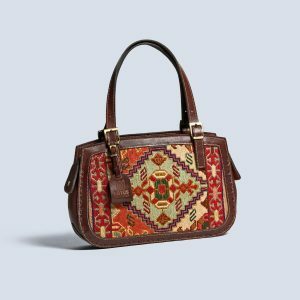 Combining vintage stylishness and practicality, this shopper tote and wallet are made from authentic Kilim and genuine leather. 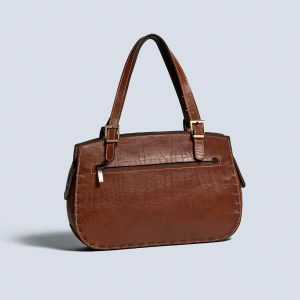 Designed for on-the-go elegance, it’s the perfect all-round bag—durable, lots of room, and eye-catching. 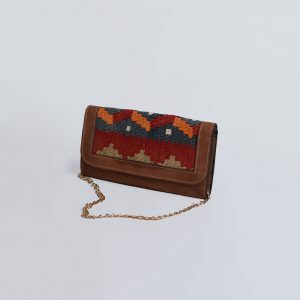 Stand out of the crowd! 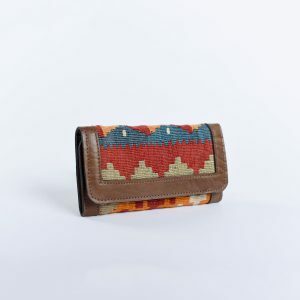 This colourful vintage kilim and leather wallet features a simple and stylish design. 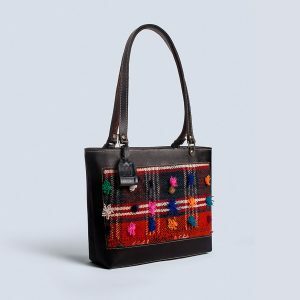 Combining dark leather and colourful vintage Kilim, this striking and handy satchel is both practical and funky. 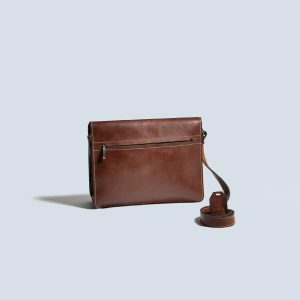 Handmade by our master artisans, its spacious and sturdy design makes it a perfect all-round bag for everyday use. 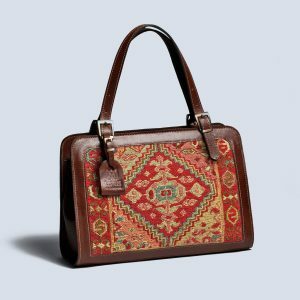 An essential everyday handmade bag for the professional woman/man, made of authentic Persian kilim (Suzani) and genuine leather. 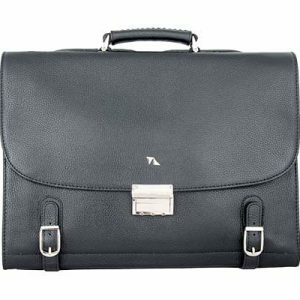 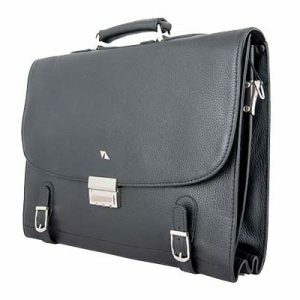 This multipurpose satchel bag will be an elegant and practical addition to your closet!